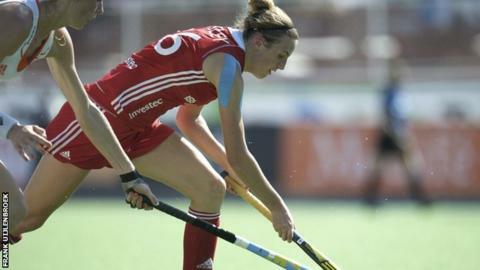 Great Britain clinched the three-match Test series against Spain with a 2-0 victory in Valencia. First international goals for Lily Owsley of University of Birmingham and East Grinstead's Sophie Bray gave Britain a second win plus a draw. Coach Danny Kerry said: "It's great to only concede one goal in 180 minutes of hockey. Spain had very few chances and we generated good opportunities. "I believe their world ranking of 15 doesn't reflect their current status." Owsley put Great Britain ahead after 35 minutes and Bray netted with five minutes to go. Spain put Great Britain under intense pressure but goalkeeper Amy Gibson stood firm. The matches are part of the team's preparation for June's Hockey World League semi-final, where Olympic qualification is on offer. Kerry added: "Given the wide number of players we've used in these three matches I'm happy with the strength in depth we are creating and it's been a really valuable trip for the whole squad."